Noble Audio makes an interesting case for audio by dividing their flagships into the reference-orientated Katana and the engaging Kaiser Encore. In so doing, they demonstrate the value of options and how audio is, by nature, a deeply personal hobby. In line, they quite recently released an upgrade cable that enables users to tweak their audio experience to their preference. The Gold X Silver cable comes in at $300 USD and combines 99.99% pure 4N gold-plated copper with OCC silver plated copper. It has a more durable 8-core construction combined with the same low-profile form factor as their stock cable making it very accessible to new buyers in the cable market. The Gold X Silver is available for purchase here. I would like to thank Brannan from Noble Audio very much for his quick communication and for providing me with the Gold X Silver Cable for the purpose of review. All words are my own and there is no monetary incentive for a positive review. Despite receiving the cable free of cost, I will attempt to be as objective as possible in my evaluation. Compared to the stock unit included with all of their in-ears, Noble’s upgrade cable makes the transition from a 4-core to tighter 8-core braid. However, as it utilises thinner individual conductors, the overall diameter of the cable remains the same, making it one of the lightest and most unobtrusive upgrade cables I’ve tested. The cable employs transparent insulation revealing its exotic conductors and implements Noble’s signature low-profile aluminium y-split and either a straight 3.5mm or 2.5mm balanced plug. The plug is very slender, suiting smartphone users with a protective case. Fit and finish are superb, with the GXS exuding a more mass-produced quality than custom-made cables. It’s not an especially soft or compliant cable, in fact, it’s harder than the stock cable. The GXS is instead quite springy which, combined with its smooth insulation and braid, makes it very tangle resistant. However, due to its stiffness, the cable does product slightly more microphonic noise than most, though still less than most fabric covered cables. Up top, the cable comes with 0.78mm 2-pin connectors. Like their stock cables, I find Noble’s connectors to err on the looser side which makes hot-swapping cables a little easier, though they’re also not so loose as to risk accidentally dropping the earphone driver. The cable also employs pre-moulded ear guides that offer increased fit stability. They are well-shaped and, for my ears, are very preferable to memory wire. The GXS creates a slightly richer image while simultaneously enhancing resolution and high-end clarity. It does so through extension of the bass and subtle emphasis of mid-bass and the lower-midrange set to a slight attenuation of the upper-bass. As such, bass and midrange tone are slightly warm, however, the image is simultaneously cleaner than most OFC cables. Meanwhile, upper-midrange extension is enhanced at the cost of density, producing slightly more delicate female vocals while retaining adequate smoothness. Lower and middle treble also sit forward producing a notably brighter background and enhanced detail presence. It is, therefore, hard to comment on synergy with the GXS as its brighter high-end tends to counteract its warmer low-end. However, from my testing, this cable seems well suited towards a variety of sound signatures, surprisingly suiting L-shaped IEMs the best despite its warmth. The cable’s most notable effect is with regards to bass extension, providing an appreciable upgrade to range and dynamics. Sub-bass power is enhanced and rumble is more physical even if it isn’t necessarily more emphasized. Mid-bass is brought moderately forward, enhancing punch and bass note weight while upper-bass becomes slightly more restrained. Accordingly, listeners shouldn’t be concerned about over-warming of tone and bloat, especially as control is improved by a fair degree. In turn, timbre becomes slightly richer and, for some IEMs, natural, a sound that works well with Noble’s IEMs. The GXS pairing also delivers noticeably higher definition in addition to slightly faster bass note decay. 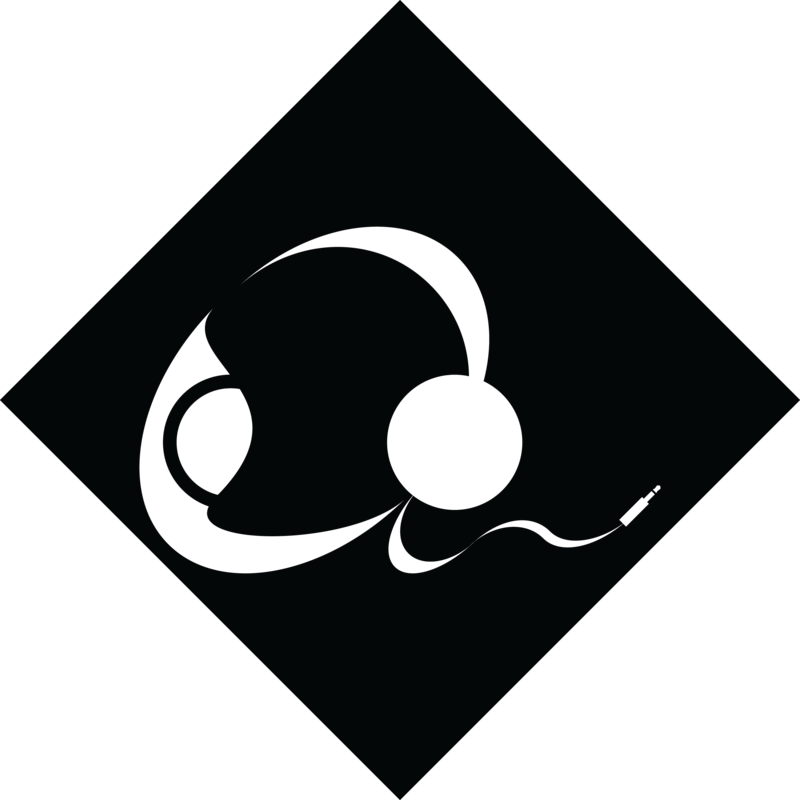 This aids separation and, by extension, the reproduction of complex or faster tracks and prevents bass drone on slower ones. Though these traits would not suggest appropriate pairing with warmer IEMs, the brighter top-end and attenuation of the sensitive upper-bass region translates to wide synergy as both elements serve to slightly reduce warmth and congestion. As such, the GXS finds suitable pairing with warmer IEMs such as Noble’s own Django in addition to leaner models such as the Katana. The GXS doesn’t alter the midrange too much, providing similar positioning and presence to the stock cable. However, timbre is appreciably improved as a result of greater bass/midrange linearity; combining a slight reduction of the upper-bass with subtle emphasis of the lower-midrange. As a result, the midrange sounds tonally cleaner in addition to sounding more resolving, delivering more filled-in notes as the cable serves to enhance body. On the contrary, due to its slightly richer low-end, male vocals can come across as slightly more laid-back even if they do sound slightly clearer. This is, no doubt, aided by the cable’s clarity and openness that are both retained through improved upper-midrange extension and elevation of the lower-treble, both effectively serving to prevent muddiness or congestion. It’s an interesting effect that simultaneously provides enhanced female vocal presence and clarity while mitigating any kind of veil. The cable also avoids over-articulation, however, it doesn’t have an especially smooth vocal reconstruction in so doing. Regardless, listeners will be sure to enjoy its increased cleanliness and note resolution. Treble is brought most notably forward in the mix, serving to enhance detail presence and clarity. Detail retrieval is improved and as lower-treble receives small emphasis, treble note attack is increased which contributes towards a more aggressively detailed image. Meanwhile, middle-treble is notably lifted, increasing air and shimmer. Treble instrument timbre is, therefore, brighter with a more pristine sense of clarity while the background becomes brighter. This aids the legibility of smaller details but can fatigue on already brighter earphones in addition to compromising treble separation to a degree. Upper-treble isn’t as affected, but extension is improved to the benefit of resolution. As a result, micro-detail is slightly easier to perceive even if it isn’t brought forward in the mix. However, the enhanced middle-treble of this cable defines its top-end and will likely be the main contributor towards its increased sense of openness up top. By increasing end to end extension, the GXS crafts a notably more involving soundstage with greater dimension and expansion. Expansion is improved slightly in all axis, especially depth which also contributes to its slightly more laid-back male vocals. Meanwhile, imaging is more precise with sharper directional cues and faster transience. The GXS is noticeably more three dimensional as a result. Separation is improved, most notably with regards to the midrange, where the cable is more tonally transparent and layered. Treble separation remains constant, its slightly brighter background offset by increased detail presence that prevents glaring over smaller foreground details. Jomo Haka ($400): Good pairing, the GXS serves to clean up the Haka’s presentation, increasing midrange clarity and enhancing treble extension and detail presence. Though bass is slightly too warm, it is more controlled and defined. Mids are clearer and more transparent. Highs are brought slightly forward, especially lower-treble. The soundstage becomes slightly more open. Hyla CE-5 ($940): Good pairing. Excellent bass control and definition, bass becomes slightly more restrained overall, especially sub-bass. Mids are brought slightly forward, lower-mids are more natural and upper-mids remain transparent. Detail retrieval is improved, slightly brighter background. Slightly enhanced sparkle. Large soundstage, improved depth and imaging. Noble Django ($999): Great pairing. The GXS immediately improves bass extension and dynamics. Upper-bass sounds considerably cleaner. Mids become slightly cleaner as a result and more natural lower-mids create a more coherent presentation. Detail presence is enhanced as is treble clarity and air. Larger soundstage with more precise imaging. Empire Ears Phantom ($1800): Strong pairing, considerably cleaner bass and midrange. Sub-bass extension is similar, but upper-bass is more restrained which benefits transparency. Mids are cleaner and clearer while remaining smooth, especially upper-mids. High-frequency energy is enhanced, delivering slightly more air and detail presence. Detail retrieval is enhanced as is resolution. The soundstage becomes slightly more circular, losing width to depth. Noble Katana ($1850): Moderate pairing. Fuller, more dynamic bass with slightly improved extension. Bass becomes more defined with greater weight. Mids are even clearer, especially the upper-midrange while male vocals become slightly more natural due to enhanced body. More lower-treble creates a very detailed foreground, middle-treble isn’t as affected but background is quite bright. Large soundstage with excellent imaging. PWAudio No.5 ($150): The PWAudio No.5 is a warmer cable with greater focus on timbre. It has a warmer low-end with similarly strong extension, however, it also isn’t as clean and controlled. The No.5 has a warmer midrange and it doesn’t enhance upper-midrange extension, delivering less clarity. However, it is considerably smoother. The GXS produces a notably brighter top-end, especially middle-treble, delivering greater clarity and air. Meanwhile, the No.5 is cleaner with more background/foreground separation. The GXS has slightly better treble extension, delivering higher resolution. It also has a slightly more spacious soundstage and sharper directional cues but isn’t quite as coherent and layered. Effect Audio EROS II ($280): The EROS II has a more substantial low-end with greater extension. It is also more controlled, with harder hitting sub-bass and more defined mid-bass notes, despite them being larger. It is a touch warmer as it doesn’t touch upper-bass. The EROS II has a more transparent midrange with greater male vocal presence and clarity. However, the GXS has a more forward upper-midrange, providing more overall clarity. In turn, the EROS II is slightly fuller and smoother than the GXS. The EROS II derives most of its brightness from its treble, quite like the GXS. However, as its upper-midrange isn’t as forward, its emphasis is more apparent. It also has a greater focus on the lower-treble, being more detailed and more aggressive. Characteristic of Effect Audio cables, the EROS II has a little extra upper-treble content, enhancing sparkle and resolution to a larger degree. It also has a cleaner background and constructs a slightly larger stage, especially with regards to width. Noble’s upgrade cable provides an enhanced audio experience without the clunky ergonomics usually associated with bulkier custom cable options. Though some may not prefer its springiness and slightly increased microphonic noise, its slender design is no more obtrusive than any stock OFC cable while providing superior tangle resistance and a more premium aesthetic. In listening, the GXS provides a noticeably richer and more extended low-end while enhancing midrange cleanliness and clarity. Its top-end dictates synergy most of all, specifically its brighter background. As such, IEMs that already have a brighter timbre may sound over-bright with this cable. In turn, the Noble Gold X Silver best suits IEM users searching for improved low-end linearity and dynamics in addition to an enhanced sense of openness while maintaining a sleek, unobtrusive form factor. The Gold X Silver can be purchased from Noble Audio for $300 USD. I am not affiliated with Noble Audio and receive no earnings from purchases through this link.